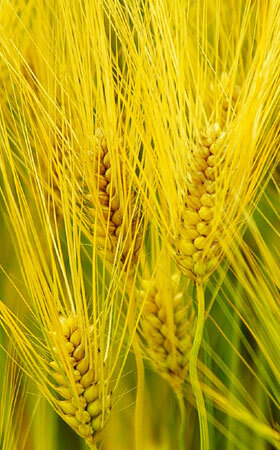 Provital Group recently introduced Baicapil, a new trademarked ingredient to combat hair loss. In case you are not familiar with the company, Provital Group is a Barcelona-based corporation established in 1979 and they are specialized in researching and developing natural active ingredients for skin and hair care industries. Baicapil is a trademarked name with a combination of three natural ingredients extracted for stimulating hair growth and density and reducing hair loss. 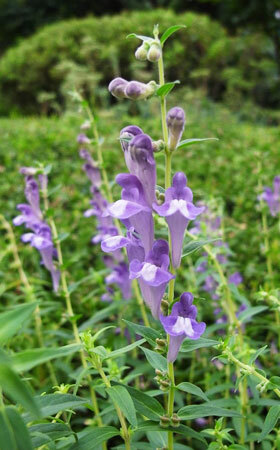 According to Centerchem, a global supplier of specialty ingredients including Baicapil, states that Scutellaria Baicalensis (flowering plant) is a source of Baicalin, the active molecule for promoting hair growth, and activates stem cells. 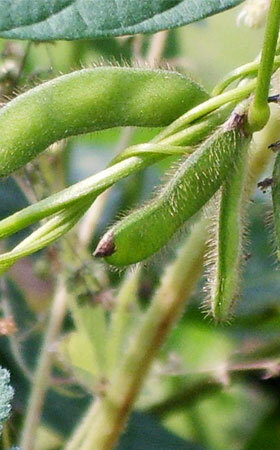 The other two active ingredients, Soy and Wheat, are known to increase cell proliferation cycles and metabolic activities. The Vivo study conducted by Provital research team is based on 61 volunteers aged between 18 and 60. 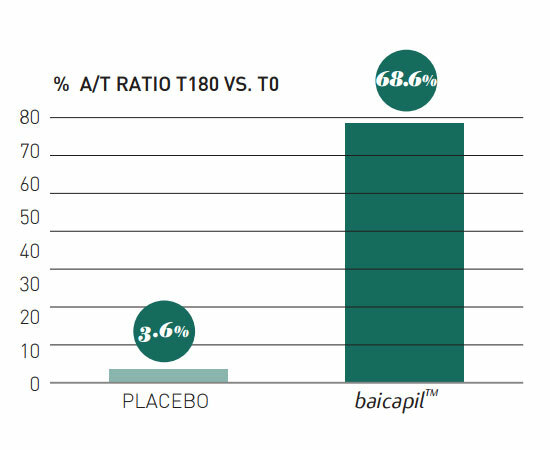 The half of the group applied 3% Baicapil in a lotion form, while the other half was served as placebo group. The duration for the conducted vivo efficacy test lasted 6 months. The graph shows increased A/T ratio. 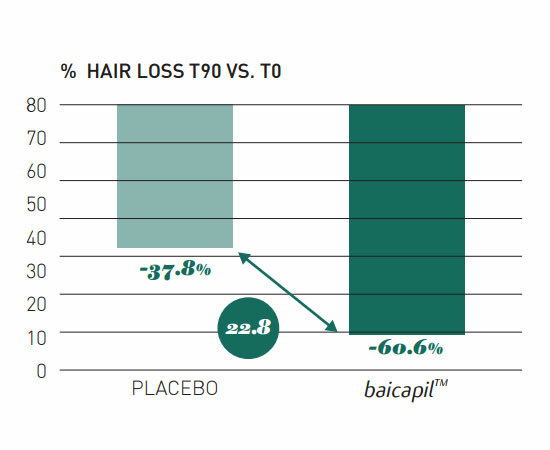 In other words, Baicapil appears to extend the hair growth phase (Anagen) by encouraging follicles to stay from the resting phase (Telogen) to the growth phase for a longer period of time. 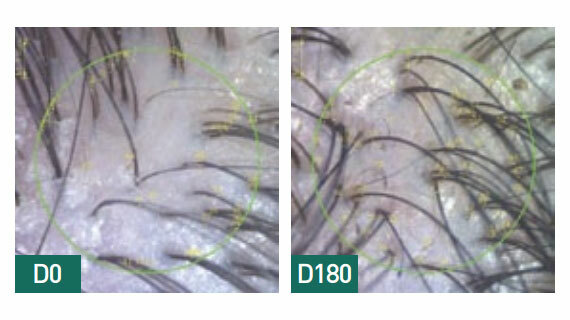 Below photos show visible improvement (0 day vs. 180 days) on reduced hair loss and new hair growth on thinning scalp areas. How long to see visible results? Where to buy products with Baicapil in it? After researching for hours, it appears that there are only a few hair products with Baicapil in it at the moment. 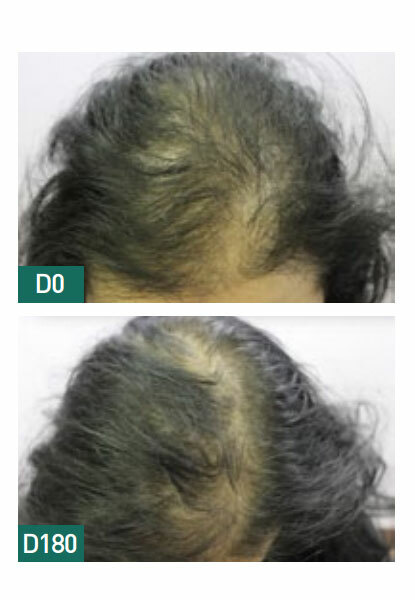 One product is called “More Hair Naturally 9” formulated with big name trademarked ingredients for hair re-growth. But the price is OUTRAGEOUSLY high – $159.95! The better (comparably cheaper) option found is Peter Lamas’ Energizing Scalp Serum at one third of the price. This organic-based serum is formulated with Baicapil as well as other hair growth stimulating ingredients such as apple stem cells, Trichogen, and ancient Chinese herbs.